The controller is suddenly no longer recognized by the DS4Windows and switching USB ports leads to new recognition, but may be subject to the same problem. It is unique for each controller and USB port, but it is retained by the restarts. DS4Windows allows you to easily connect the PS4 controller to your PC. It betrays your system in essence to believe it uses an Xbox 360 controller, but you still have access to motion controls and even touchpad for many games. However, there was a change to Windows that broke DS4Windows and effectively rendered the DS4 device unusable until the user manually reactivated it. To avoid this problem, you must reactivate the DS4 and use a patched version of DS4Windows. As a general rule, the “No Controllers Connected (Max 4)” error occurs and does not disappear even after the DS4 controller is powered up again with a PC/laptop. If you encounter problems when using your DualShock 4 controller, you have a number of options. Step 1: First, under the Settings tab is an option to hide the DS4 controller. This is useful if your DualShock 4 has priority over other connected controllers – such as an Xbox 360 controller – or if you want to make sure your DS4Windows settings have priority over Steam’s DualShock 4 configuration. Step 2: If the DualShock 4 does not work properly while other input devices are connected, there is a button at the bottom of DS4Windows that you can select to connect the DualShock 4 exclusively, making it the main input source for games. Step 3: The other file included in the DS4Windows installation, DS4Update, automatically checks and downloads the latest version of DS4Windows. 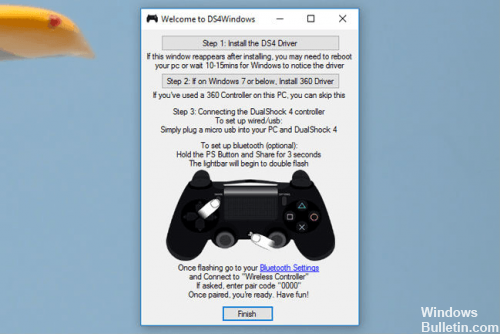 Perform this operation from time to time to keep the program up to date, which will allow DualShock 4 to continue to work properly with your PC. Type Device Manager in the Windows search box. Click on “Human Interface Devices”. Find the “HID-compatible game controller” (there may be two). This problem can be solved by uninstalling and restarting the DS4 controller. To do this, follow the steps below. Close DS4 Windows and disconnect your DS4 controller if you have not already done so. Press the Win + R buttons to open the Run dialog box and type Control Panel, then Enter. In the Control Panel, access the Hardware and Sound settings by clicking on them. Now click on “Devices and printers” above to access all the devices connected to your PC. Now reconnect your DS4 controller to your PC. It would display the symbol of a joystick, as shown in the figure below. Right-click on the icon and select Properties. 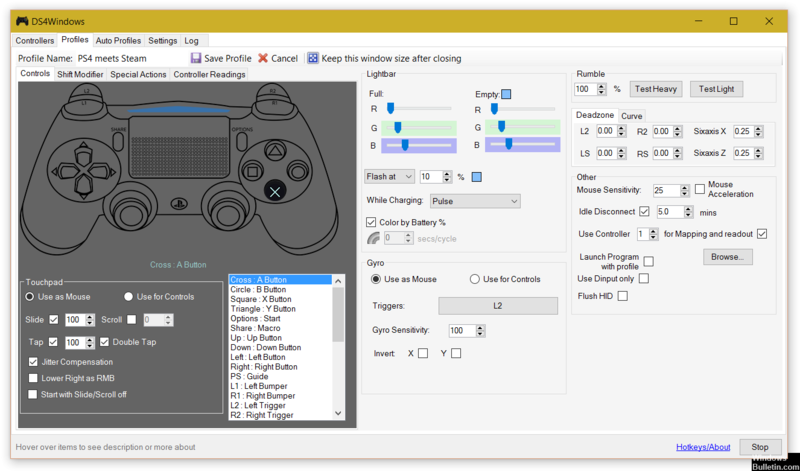 In the properties of your DS4 controller, click on the Hardware tab at the top and double-click HID Compliant Game Controller to open the properties. 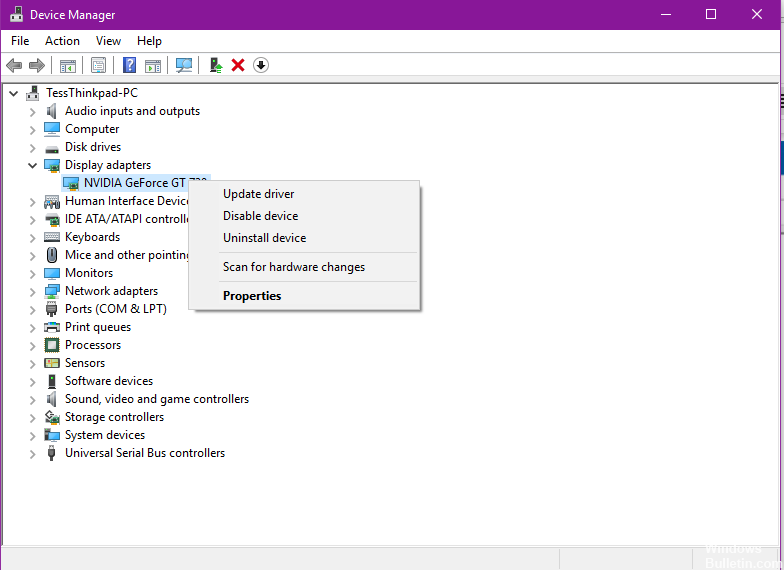 Go to the Driver tab and click Uninstall Device. This process allows you to uninstall the game controller. Be sure to disconnect from your PC after performing the above steps. Open DS4 Windows on your PC and reconnect your DS4 controller. Your controller is displayed in the controller section.